In order to provide high-level of comfort to the patients, this Quadriceps Table is widely demanded in hospitals, nursing homes and clinics. Available in a gradation of specifications, offered table is manufactured with the utilization of quality assured materials. 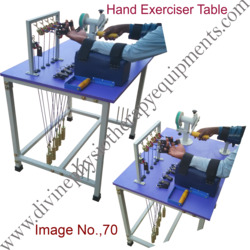 Equipped with backrest and arm, this table is used for measuring the health. Our precious customers can avail this from us at marginal rates. 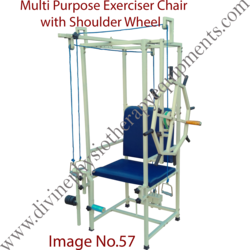 Blessed with modern infrastructure and latest technology, we are offering our clients supreme quality Quadriceps Chair. 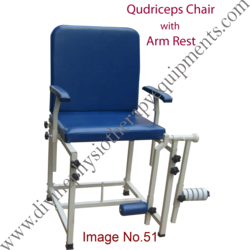 Mainly used in hospitals, clinics and nursing homes, this chair is used for analyzing the health measure and offers accurate measurement. This is precisely manufactured in accordance to the latest trends of the industry by making use of good quality materials. Further, clients can avail this from us at market leading prices. 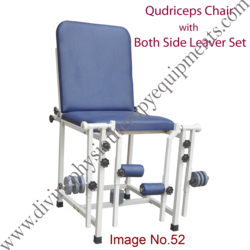 Our company brings forth an extensive assortment of Multipurpose Exercise Chair for Physiotherapy treatment. This chair is precisely manufactured at our highly advanced manufacturing set-up using optimum quality raw materials under the guidance of our highly skilled team of professionals. This chair is specially used for physiotherapy patients for multi-purpose exercise applications. In addition, our esteemed clients can easily avail this chair from us at reasonable rates. Since it is multipurpose, it have the following exercise machines in it. Quadriceps chair with 360 degree adjustable lever set, with a set of 5 weight round plates of 1 kg each. 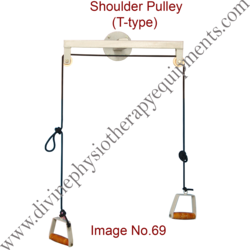 Arm Exerciser with 12 kg weight plates. Supination & Pronation is a position of either the forearm or foot. When the arms are unbent and at the sides, the forearm is in supination when the palm faces to the front (anteriorly), or faces up. Supination in the foot occurs when a person appears "bow-legged" with their weight supported primarily on the lateral side of their feet (5th Metatarsal). The hand is supine in the anatomical position (i.e., palms facing up during autopsy). This action is performed by the Biceps brachii and the Supinator muscle,Supination is the opposite of pronation. Supination & Pronation: exercises strengthen the muscles of your forearms responsible for supinating your arm, which is when you turn your palm upward. This movement is easy to remember if you think of holding a bowl of soup in your hand. Supination is the opposite of pronation. Do supination exercises two to three days a week. 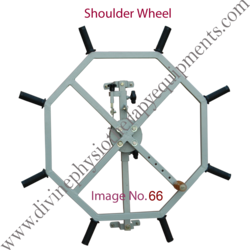 We are offering our clients a comprehensive gamut of Mariner's Wheel. 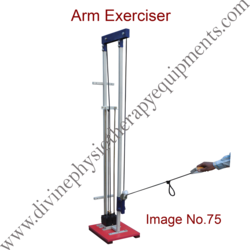 This product is also known in different names like Shoulder Wheel, Stazo Wheel Etc. This Product is highly cherished amongst our patrons for its unmatchable quality. Our offered Product is manufactured by our highly experienced professionals with the use of exceptional quality raw materials and innovative techniques by our adroit professionals. 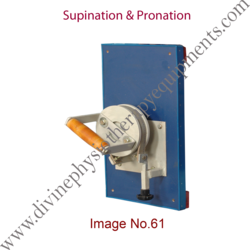 This wheel is also tested on several parameters of quality and is offered at marginal prices to our clients. 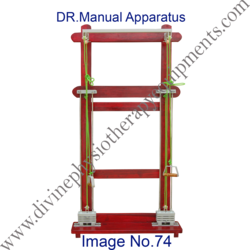 · This product is mounted on adjustable Wall bar for wall attachment. Wall fasteners not included. 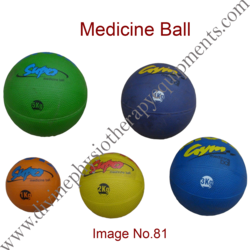 · Handle location of this product can be adjusted to increase the range of motion from 10 inch to 39 inch diameter. · 2 No Control knobs allow vertical height adjustment of wheel. Our Teak Wooden Merainers are made from very high quality Teak Wood material which ensures durability. 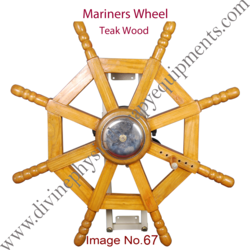 These wooden s Merainers Wheel are available in market at very competitive prices. These Merainers Wheel are highly appreciated all over the globe for their long lasting luster, easy mount, robust construction, graceful design and rust resistance finish. Shoulder Pulley (Over Head Pulley) is ideal for home use, to independently improve range of shoulder movement and coordination following stroke, shoulder injury, or surgery. Can be used for exercises while seated, standing. Shoulder Pulley (Over Head Pulley) ( T Type) is ideal for home use, to independently improve range of shoulder movement and coordination following stroke, shoulder injury, or surgery. 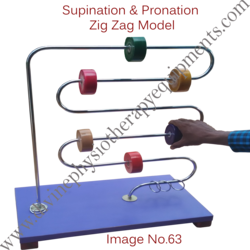 Physiotherapy And Rehabilitation Equipments We engaged in offering hand exercise table. 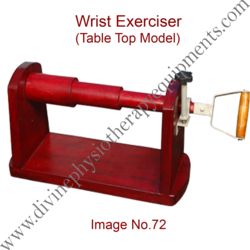 It comes with laminated top fitted with six pulleys in a steel frame loops and nylon rod passing through the pulleys with hanging adjustable weight underneath provides opportunity to exercise the interstice and muscles. We have attached wrist Circomductor for fore arm. 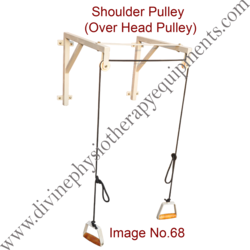 We have also attached Supination & pronation Exerciser. Assessment of wrist motion is important in diagnosing and treating motion impairment after injuries to the wrist. Little is known of how finger posture influences the movement of the wrist. The aim of this study was to investigate the effect of finger constraints on the maximum circumduction movement of the wrist. 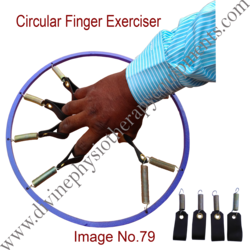 Our organization is involved in manufacturing Circular Finger Exerciser, which is one of our products used widely. We ensure our products are manufactured with high quality of raw materials. 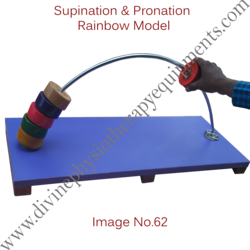 These exercisers comprise of efficient springs, sturdy steel made circular base, fine quality Pure leather made finger holders. 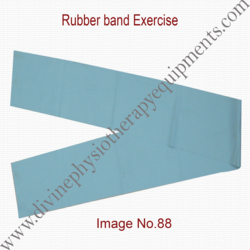 This product is used for strengthening fingers in physiotherapy and also by boxers, fighters and sportsmen. We offer this product at less expensive cost. 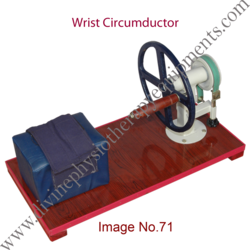 With the help of our expert professionals, we have been able to offer a wide range of Dr Manual Apparatus. These products are manufactured in compliance with set medical standards and norms using high-grade raw material and sophisticated technology. Moreover, the apparatus offered by us are strictly checked on various parameters so as to ensure their compliance with international standards and norms. A stronger grip can benefit athletes of every skill level -- from weekend warrior to professional. Many strength and conditioning programs include wrist exercises, but exercises that specifically target the gripping muscles of the hand and forearm are often overlooked. 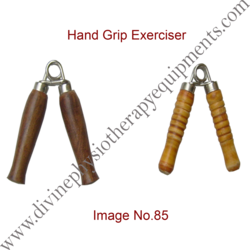 Mechanical hand grips -- essentially stout springs with handles on them -- are inexpensive training devices that isolate the muscles important to grip strength. Work in several sets of exercises with hand grips during your regular upper-body training to quickly tone and strengthen your fingers, wrists and forearms. he Hand Xtrainers are truly a cross functional option, with applications ranging from rehab to strength training. They support a variety of finger, hand, wrist, and forearm exercises, making them an ideal replacement to putty and an economical alternative to hand extensors. 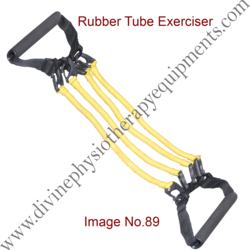 Supports broader range of exercises – extension and eccentric! 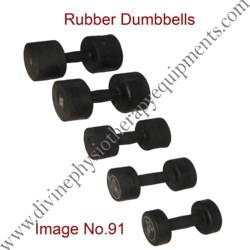 The main benefit to using dumbbell exercises in your workout routines is that on top of exercising the main muscles, Dumbbell exercises will also require the input from various stabilizing muscles as well. This is in contrast to exercising on gym-type machines where main targeted muscles are isolated and are the only ones being utilized. 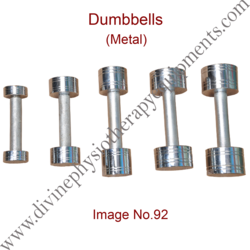 Dumbbell exercises allow complicit muscles to grow in strength together and prevent muscle groups from developing independently and out of sync. 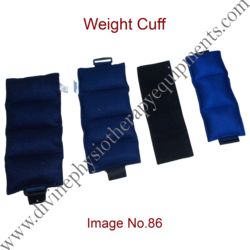 Now you can add resistance of increased weight with the help of .This cuff can be wrapped around your wrists or ankles to increase intensity of your exercises. You can lift weights in the gym or run on treadmill wearing it. It is just like increasing weight in dumbbells or bars but offers better comfort and flexibility of movements at all times. It increases resistance levels making the hand movement a little more difficult while you exercise. You can use it in strength training, rehabilitation and physiotherapy to gain muscles, flexibility, or to lose weight. 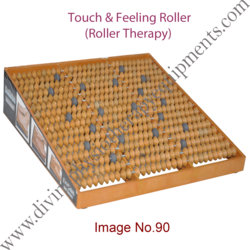 Various athletes and professional players around the world also use weight cuffs to increase stamina and to boost their cardiovascular endurance for competitions. 3. Handle is also proved for supination and pronation exercise. 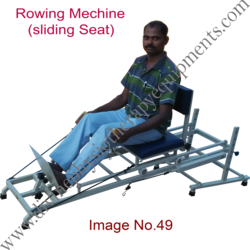 We are engaged in manufacturing and exporting Sliding seat (Rowing Machine). Our range is manufactured using finest of stainless steels. 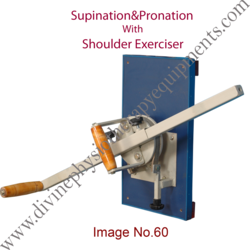 This Sliding Seat machine imitates the normal rowing, for exercise and training. With the help of the sliding seat any body can sit comfortable and stretch their muscles to and fro for rowing. It finds its application in gymnasium and few hospitals too to strengthen the shoulder and lat muscles. Hence, we trade them at an economical price. Arm Exerciser with 10 kg weight plates. 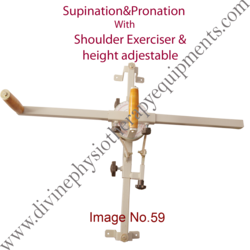 Supinator & Pronator exerciser with Shoulder exerciser (2 in 1). 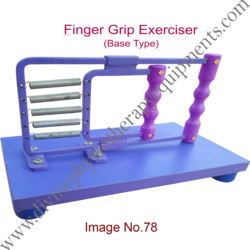 Looking for Exercise Therapy Equipment-2 ?